SMS Radetzky was commissioned 15 January 1911 and represented the Austro-Hungarian Empire at the British Coronation Review at Spithead in June 1911. 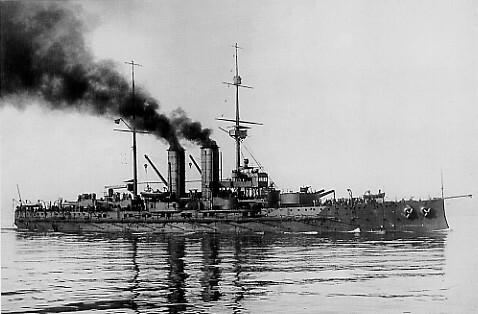 During World War One Radetzky spent most of the war in port at Pola, but did take part in some coastal bombardments. After World War One Radetzky was handed over to Italy, despite attempts to keep it out of Italian hands by surrendering it to the Americans. Radetzky was scrapped by Italy in 1920.